Detail: Singapore’s sustainable light art festival, i Light will return in 2019 with a special i Light Singapore – Bicentennial Edition. Happening from 28 January to 24 February 2019, the upcoming festival will feature light art installations curated to the theme “Bridges of Time” that invites artists and festival-goers to reflect on Singapore’s history and growth, as well as its connection with the world in the last 700 years. The Festival will also expand its geographical footprint, from its original Marina Bay vicinity to include Civic District, Singapore River and Raffles Terrace at Fort Canning. This special edition will see an intensified effort to bridge people, culture and opportunity through art and sustainability, as a reflection of how Singapore’s historic Civic District and Singapore River, first drew people from different parts of the world here centuries ago. Besides sustainable light art installations, there will also be different lifestyle programmes for Festival-goers to be part of. 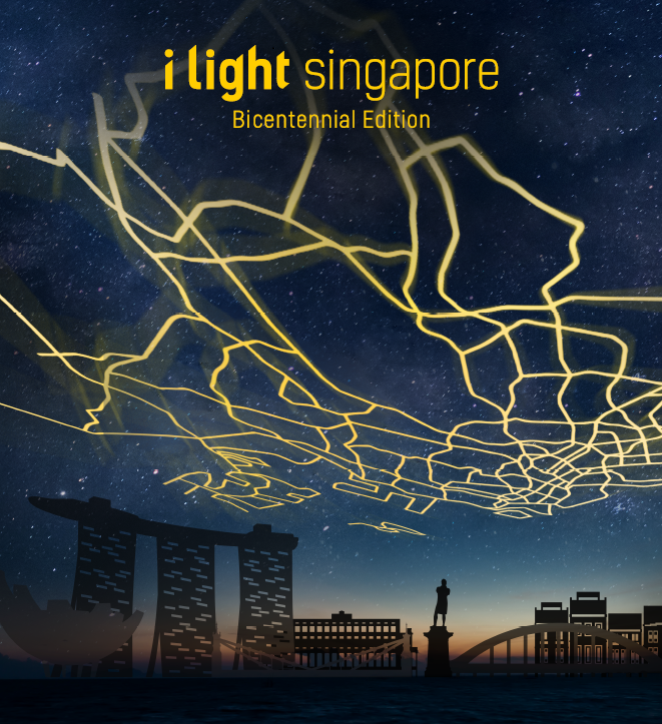 i Light Singapore – Bicentennial Edition will be held from 28 January to 24 February 2019, 7.30pm to 11pm daily with extended hours to 12am on Fridays and Saturdays. Admission to the Festival is free. Visit www.ilightsingapore.sg for more information.